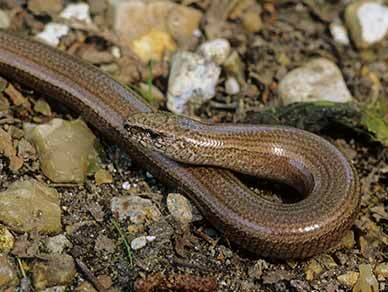 Encouraged by the relatively mild climate, all Britain’s native reptiles are present in the New Forest – that’s adders, grass snakes, smooth snakes, slow worms, common lizards and incredibly scarce sand lizards. Amphibians also breed in permanent or temporary pools, including, of course, common frogs and toads, and also smooth, palmate and great crested newts. More information will be provided when these pages are fully implemented.